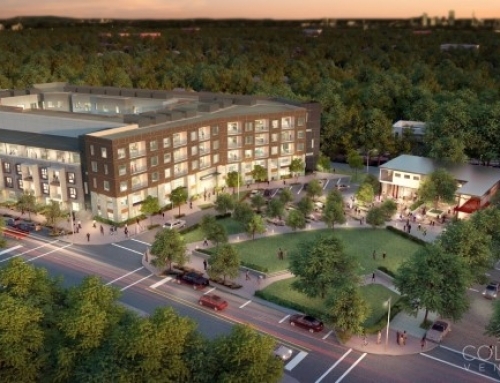 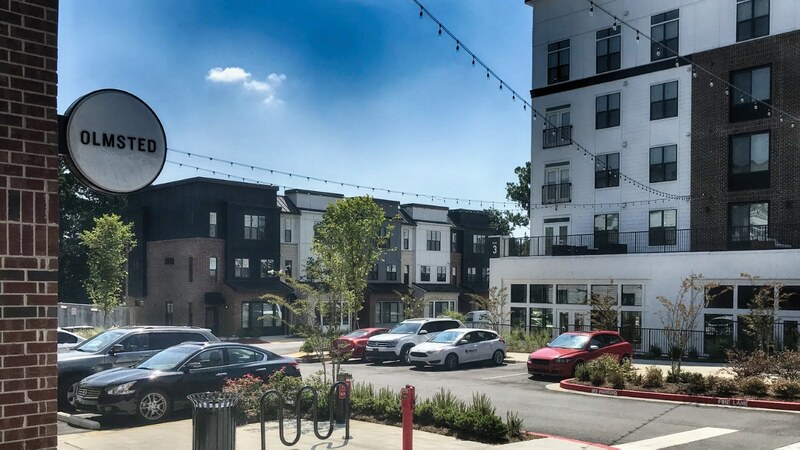 TSW was hired to develop landscape architectural site plans for Olmsted, a 6-acre mixed-used project in Chamblee, Georgia. 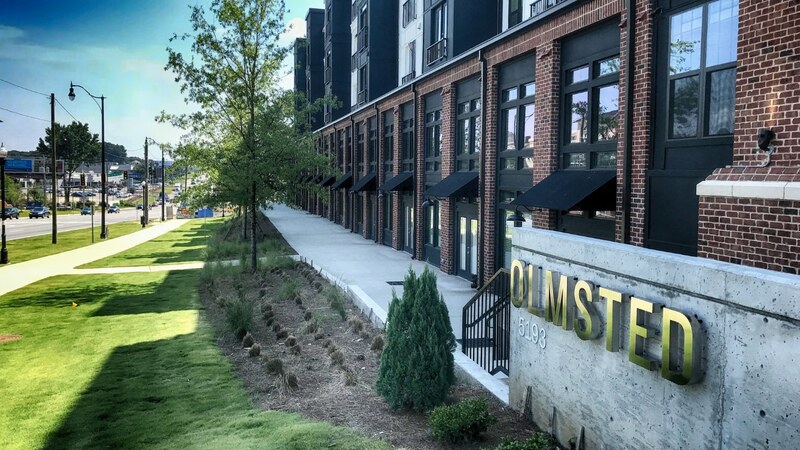 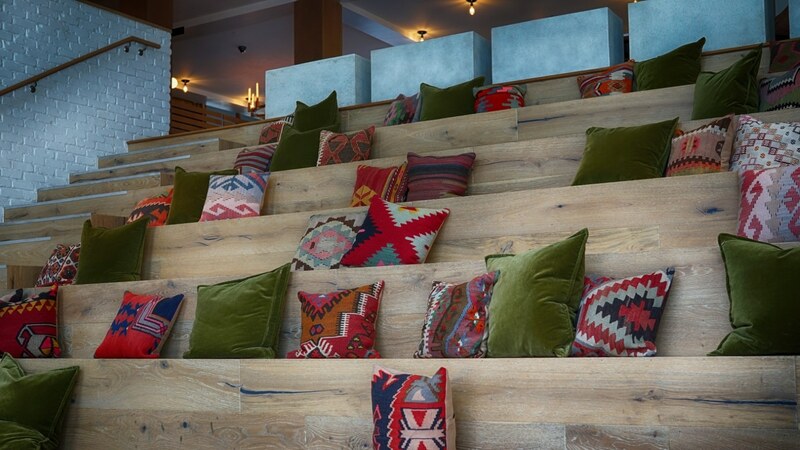 The client wanted Olmsted to reflect the quaint characteristics of historic Chamblee buildings, and therefore TSW was tasked with creating a sense of place with a very boutique-like character. 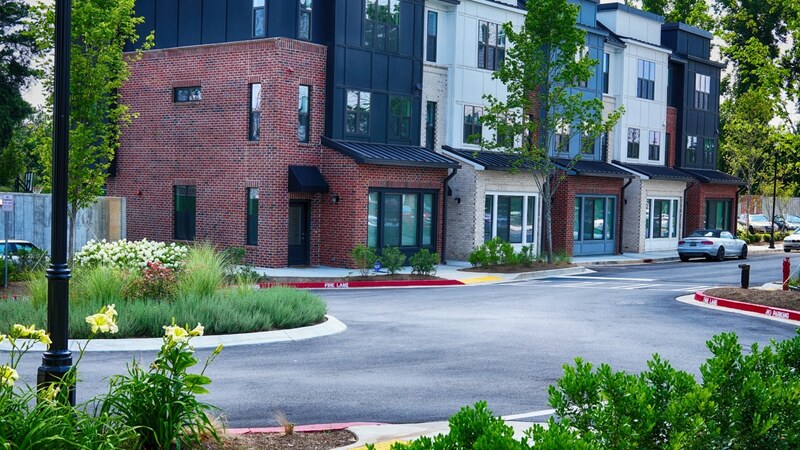 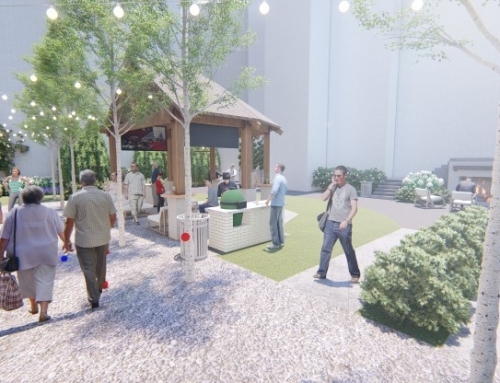 The use of community and function-driven spaces led TSW to design three amenity courtyard spaces and a flex plaza. 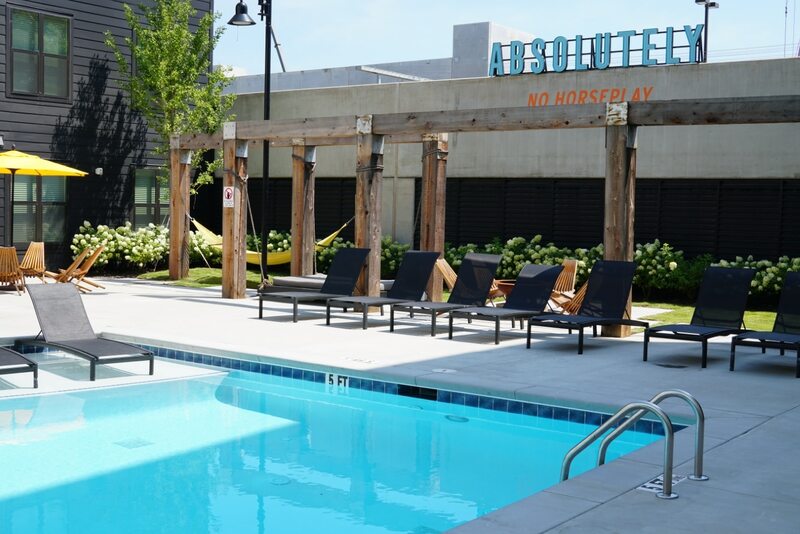 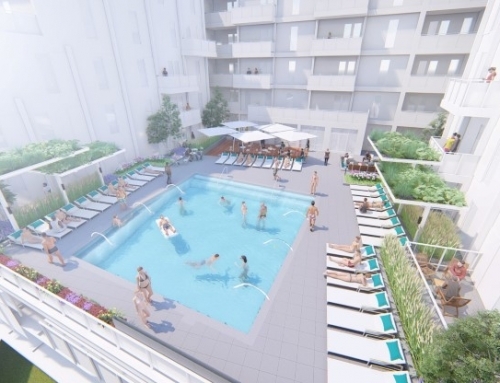 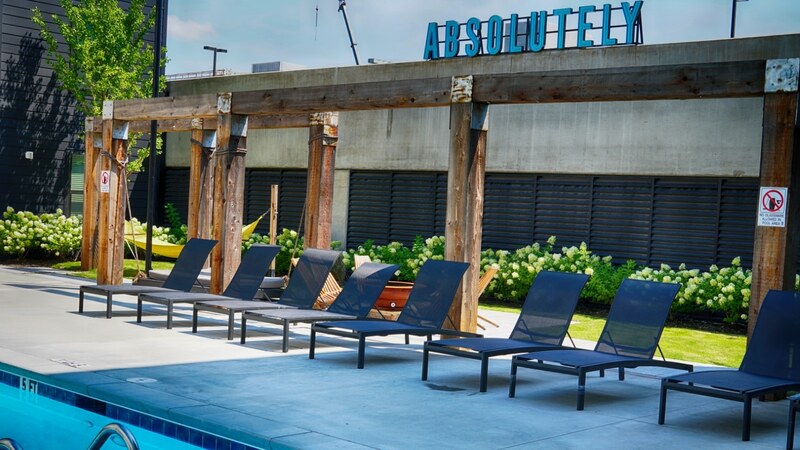 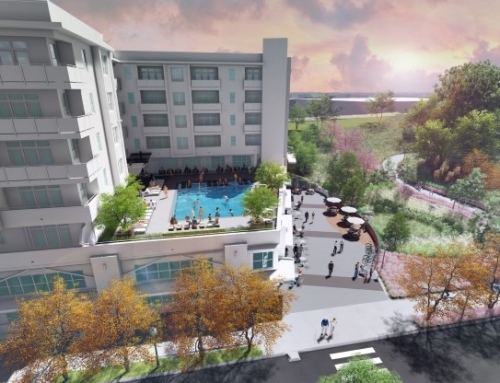 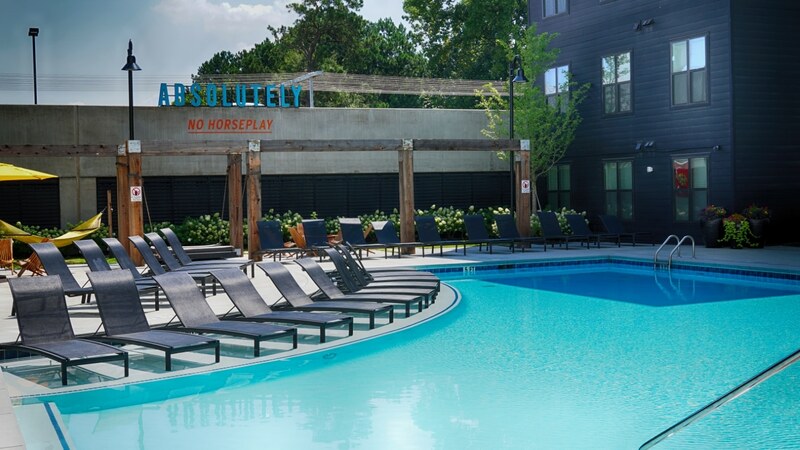 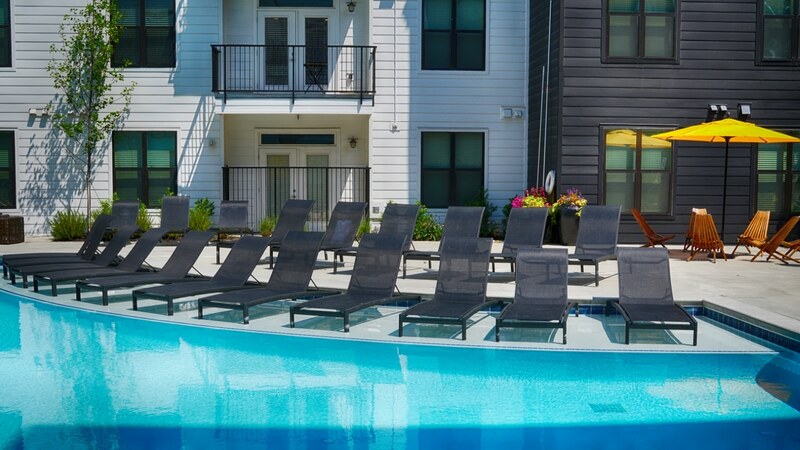 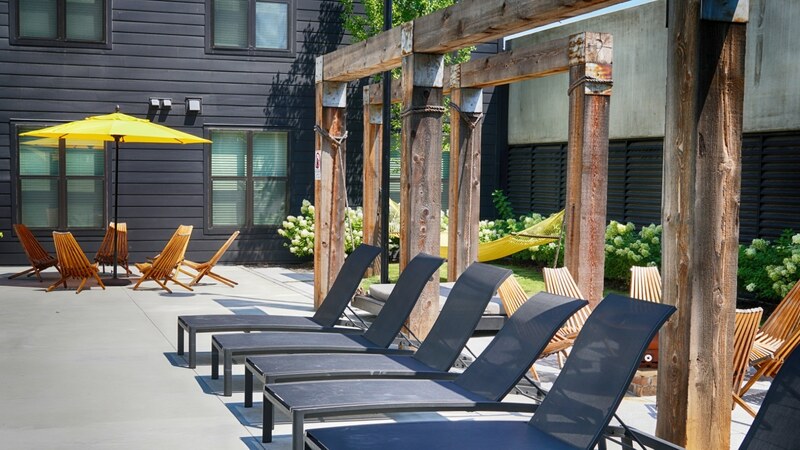 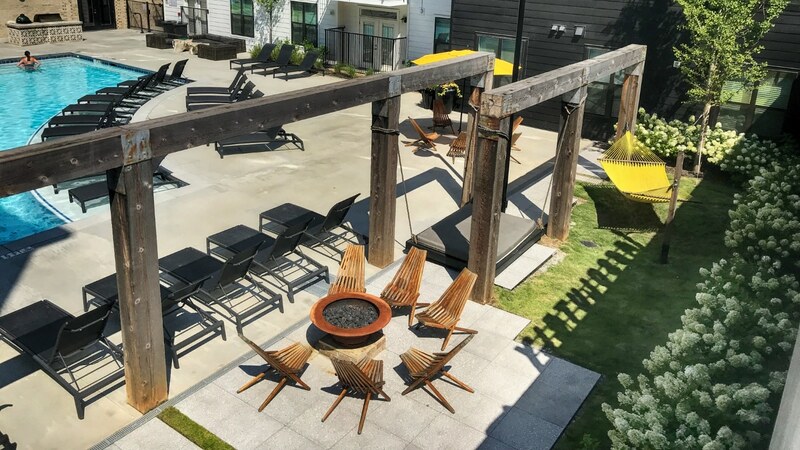 The various amenity courtyards include a passive shade garden with outdoor dining, fire pit and string lights, a lively pool courtyard with swinging hammocks and a custom outdoor kitchen, and a linear courtyard with a bold mix of hardscape elements and textured planting palette. 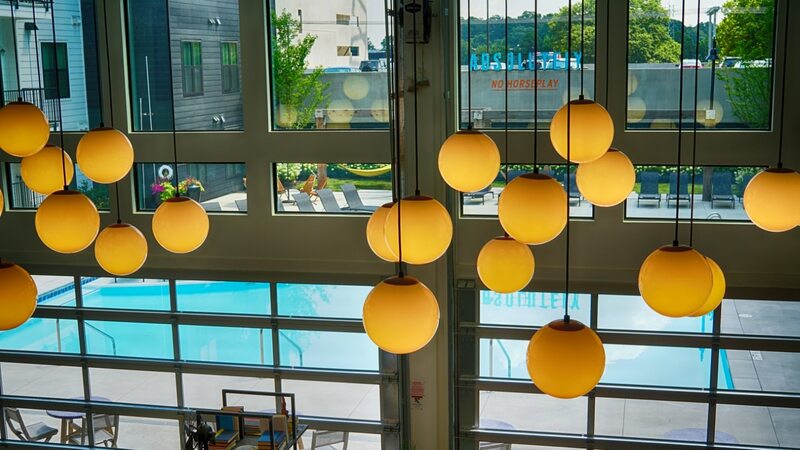 In addition to being an iconic gathering space, Olmsted is also a certified Green Globes project. 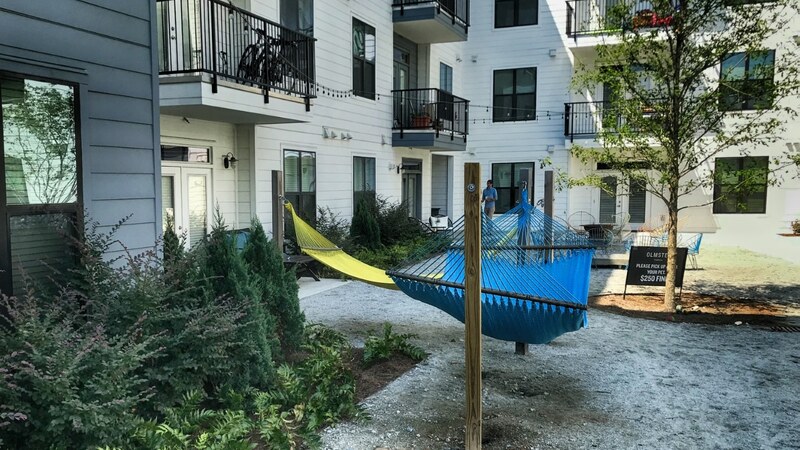 During design, TSW specified a naturalized landscape using native trees, shrubs, and groundcover with minimal lawn use. 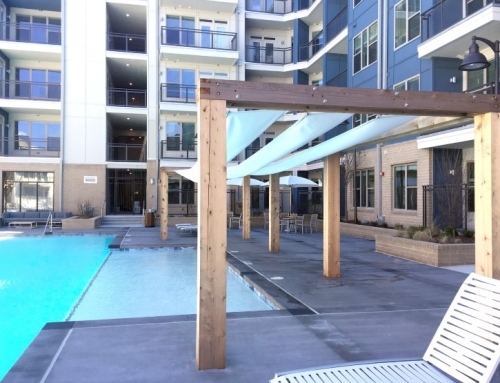 68% of the vegetated area is covered with plants that are native and non-invasive, while 93% of the vegetated area is covered with plants that are drought tolerant.